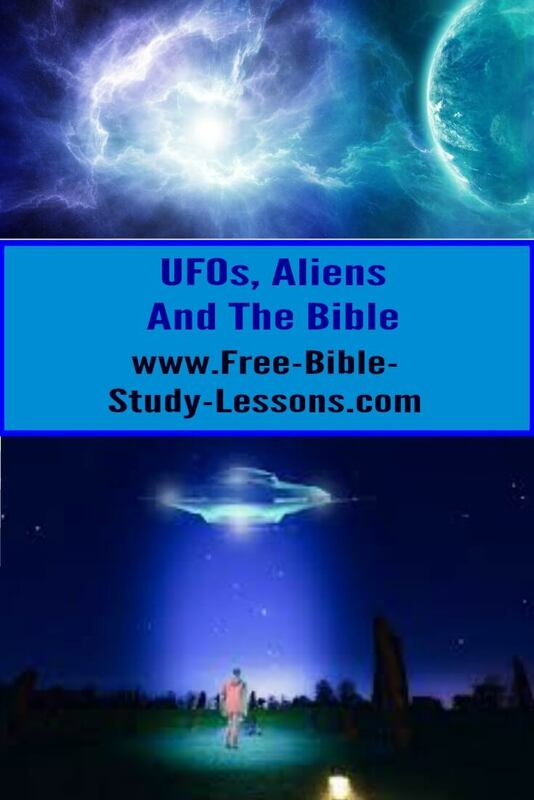 How Do Aliens And UFO's Fit With The Bible's Teaching? Not too many years ago anyone who saw a UFO or claimed to have encountered aliens from other planets - or even believed in them - was considered weird or out of touch with reality. Over the last 50 years or so there has been a major shift. Today the average person [at least in the West] accepts the idea of life on other planets and even visits from extraterrestials. Science fiction movies and books abound [and are very popular] to feed this hunger. Christians need to examine this [and other] issues with an open mind. Too often in history Christians have opposed new ideas or discoveries just because they were different from what they had believed. Missed opportunities and unfounded prejudice often resulted. [What might TV be today if Christians had been the first onboard instead of the last?] The most important thing is: What does the Bible teach about aliens? Is it really against what the Bible teaches or is it only against our preconceived ideas? As we examine the possibility of UFO's and aliens we must consider where this idea comes from and how it effects known Biblical doctrines. Note: I use the term "UFO" in the common meaning of space craft from outer space not the technical definition of Unidentified Flying Object. There is no question that there are flying things which we can't identify in a given situation. The real question is whether the explanation is from earth, is spiritual, or is from outer space. 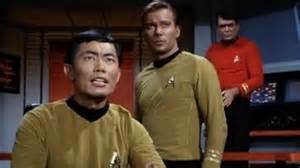 In everyday speech "UFO" has come to mean space ships and that is how we will use it. 1. The Bible teaches that God created the universe in 6 24-hour days around 6,000 years ago. [For the scientific reasons behind this there is much good research material on Answers In Genesis and Creation Ministries.] If aliens [I use "aliens" to mean intelligent physical life on other planets] exist they must have been created within those 6 days. Genesis 1 & 2 makes no mention of any intelligent beings created off the earth. If they exist, why are they not mentioned? It may be argued that since the creation story focuses - but is not limited to - life on earth that mentioning off-world beings was unnecessary. This is called an argument from silence and is considered a weak argument. Basically, it is a guess built on lack of evidence. Since we know, from the Bible [and true science], that evolution is false, this line of reasoning fails. If aliens exist they are the same "age" as we are [6,000 years] and; therefore, there is no reason to believe they would be any more intelligent or advanced than we are. 2. Adam was the representative not only of the human race, but also of all physical creation [i.e. he did not represent the angels]. It seems unfair that a separate creation would suffer because of Adam's sin without ever knowing the reason why. Their redemptive destiny would be tied to events on an earth of which they could have no knowledge. We know Jesus died once and for all. He cannot journey to other worlds to die for sin there. That would deny the completeness of his victory on the Cross [and mock His suffering]. It would also deny His resurrection with a physical body. Jesus is also declared to be the only begotten Son of God, which would do away with the idea of different saviours for different worlds. 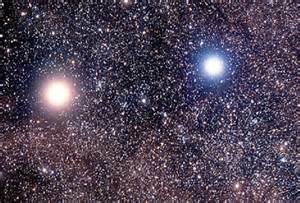 "The next closest star is Proxima Centauri, which is 4.2 light years away. Traveling at 300,000 km every second, it would take you 4.2 years to get there. To transverse our own galaxy, the Milky Way, it would take you about 100,000 years...it would take...approximately 2,300,000 years to reach Andromeda, the nearest galaxy like our own...traveling at the speed of light, remember. Keep in mind that if aliens exist then they were created at the same time we were. They have not had "millions of years" to develop advanced technology. Personally I do not see how a belief in UFO's and aliens can overcome the above theological and physical difficulties [and there are many more]. We also need to keep in mind that the majority of sightings/contacts are later proven to be natural events or hoaxes. There are a small percentage that are genuinely unexplained. 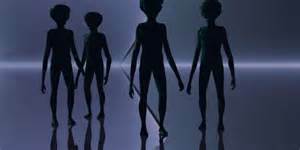 Just became they are unexplained doesn't mean they are visitors from another planet. One possible and frightening explanation of genuinely unexplained "encounters" is that they are often very similar to occult and demonic manifestations and possession. Passages in the Bible are sometimes used to support the idea that aliens have visited us in the past. ["Aliens" themselves seem to know a good deal about the Bible.] Two sections that come quickly to mind are Gen. 6 and the beginning of Ezekiel. In Gen. 6 we have the "sons of God" coming to the "daughters of men" and thereby producing giants on the earth. It is supposed then that the sons of God is a reference to visitors from other planets having sexual relations with humans. Admittedly, this is a confusing portion of Scripture with different Christians having different explanations. Some have felt that the sons of God are fallen angels and we have demonic relations here. Others believe that the sons of God were the righteous line of Seth intermarrying with the ungodly line of Cain. In any case, there is no evidence of any alien involvement. The fact that God then judged the world, destroying it in a global flood, would indicate that the offense was of human origin. If aliens were involved then they would have escaped judgment simply by flying away. God's judgment would have been designed to effect everyone involved. Then we have the "spaceships" of Ezekiel [Ez. 1]. Some use Ezekiel's descriptions of his visions to claim that he was seeing UFO's. I would point out that in the very first verse Ezekiel states he was seeing a vision of God. We know by studying dreams and visions in the Bible that they are most often a symbolic picture of reality. Sometimes the dreams/visions were weird - Pharaoh saw cows [which don't eat meat] eat other cows without gaining weight. Nebuchadnezzar and Daniel, among others, had interesting visions. What they saw represented and explained something they did not know. Likewise Ezekiel, saw a vision. It was a symbolic picture of what God was trying to teach him not a physical object. Those who find UFO's and visitors from other planets in the Bible must, with their preconceived ideas, read into Scriptures things which are not naturally found there. Some Christians may feel that the entire UFO/Alien culture [which is fast becoming mainstream] is foolishness and not worth their attention. However the doctrines and experiences of those who are involved reveal that there is something dangerous going on which should not be ignored. The sexual and other abuses which "abductees"experience reveal that this is certainly not friendly activity. For further reading and research I recommend the Alien Intrusion book below. Note: If you purchase one of these books through these links, I will receive a commission.